Sonia Pessoa Is a native of Bahia, Brazil the first home of Samba. She is a former Oba Oba dancer and has performed on Broadway, the Warner Theater, the Jackie Gleason Theatre, the Kennedy Center, Wolftrap, as well as at prestigious events such as the New Orleans Jazz Festival, Quebec carnival Jamaican Carnival, San Diego Carnival among others. She also has performed in many countries such as Italy, Spain, Germany, Jamaica and the Caribbean. Ms. Pessoa has appeared on many TV shows and has been featured in numerous magazines. She is an authentic “Sambista”, with her charismatic smile, unique hip movements, and long, expressive arms; Sonia spreads charm and vibrant energy to those who watch her. 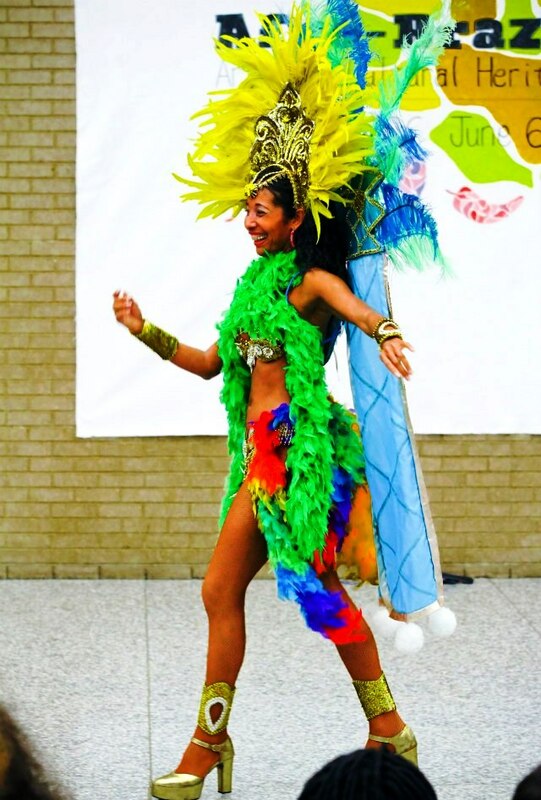 Ms. Pessoa has been dancing professionally and teaching the art and magic of Samba for more than 18 years. What makes her so special is the total involvement of her heart, mind, body and soul. Ms. Pessoa is a Registered and Licensed Dietitian and the founder of Sambart Entertainment, a company that emphasizes the cultural traditions of Brazil through, traditional Brazilian dance, food, music, trips, festivals and professional high-spirited dancers. Since its inception in 1996, Sambart Entertainment has been dedicated to promoting Brazilian culture and ‘Carnaval’ throughout the United States and the world. Since its inception in 1992, Sambart has been dedicated to promoting Brazilian culture and ‘Carnaval’ throughout the United States and the world.